Some of the most popular myths and misconceptions around voting are being addressed in the final hours before tomorrow's General Election, in a new social media campaign launched by the Electoral Commission on Monday. It is a bid to increase voter turnout, with a key message being to tell people precisely how long polling stations are open. Of those that didn't vote in the 2015 General Election, 21 per cent said they "didn't have time" despite polling stations across the country being open between 7am and 10pm. An Electoral Commission spokesman told PRWeek: "The times of day that people can vote will be just one of the pieces of information we'll be promoting on social media this week. "We don't want people to miss out on having their say because they don’t understand the process." They added: "We are launching this social media campaign to target first time voters in particular and provide them will all the information they need to cast their vote with confidence on 8 June. "We've launched this campaign in the days leading up to polling day as we anticipate that now is the time that voters are planning what time to visit their polling station and may well have questions about the actual voting process." One of the most common questions asked of the public sector body is "Can I mark my ballot paper with a smiley face?" The Commission said the only way to be certain your vote will be counted is to mark an "X" by the candidate of your choice. Another popular query is, will people still be able to vote if they are in the queue outside the polling station when the time passes 10pm. The answer is yes. The law was changed after the 2010 General Election when people were denied their right to vote because they had been stuck in queues outside some polling stations. The campaign is running on Twitter and Facebook. 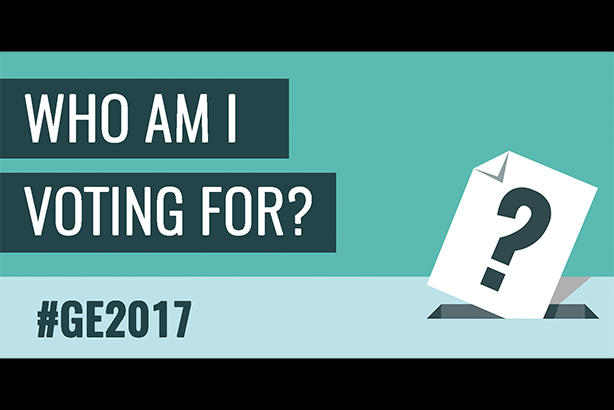 It uses new graphics to explain the rules of voting simply, and is being promoted using the #GE2017 and #YourVoteMatters hashtags. The campaign comes just days after the Electoral Commission teamed up with Crimestoppers to highlight the danger of electoral fraud. Launched last Thursday, the three-week campaign focuses on signs to spot – ranging from voters being bribed or intimidated, or postal votes being stolen, to voting as someone else, or tampering with ballot papers. People are being urged to report any suspicions to the police, or via an anonymous online form or by calling 0800 555 111. The campaign is centred on posts on Facebook and Twitter, and election officials are being provided with campaign posters to use in polling stations. An Electoral Commission spokesperson said: "The Electoral Commission has worked alongside Crimestoppers since 2015 to ensure electors can be confident that the police and prosecuting authorities take allegations of electoral fraud seriously. "Crimestoppers' confidential free phone number provides a means for those who believe they have witnessed or been a victim of electoral fraud to report their concerns anonymously. "The campaign includes a schedule of posts on Facebook and Twitter designed to improve the public's understanding of what constitutes electoral fraud." Meanwhile, council comms teams are watching out for fake news reports which could affect the election. Birmingham City Council recently warned people via Twitter to ignore a fake BBC report telling Conservative and UKip voters to go to the polls on Friday, reminding them that: "Voting only takes place from 7am until 10pm on 8 June." Mayoral elections: How successfully did the campaigns raise voter turnout?